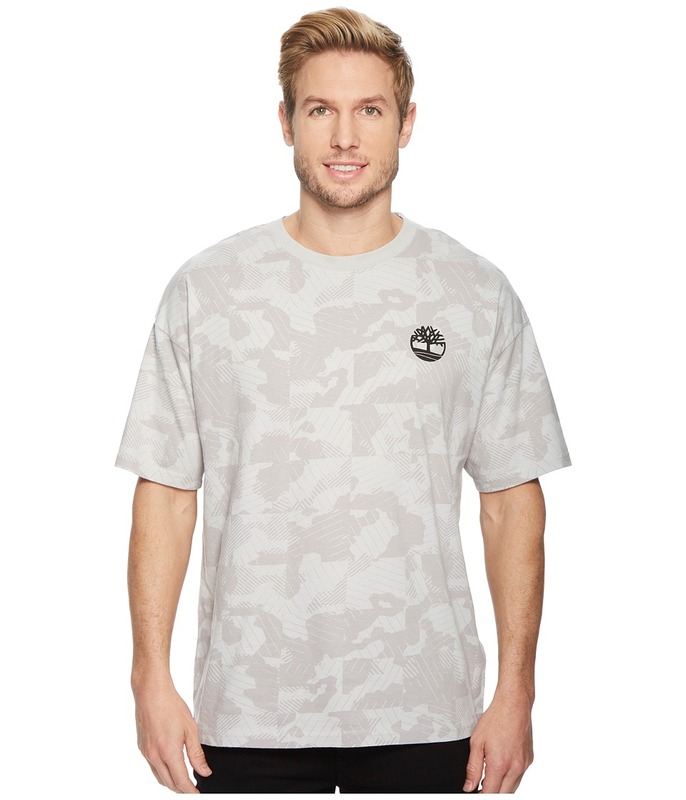 Step up your style game with a Timberland Graphic T-Shirt. 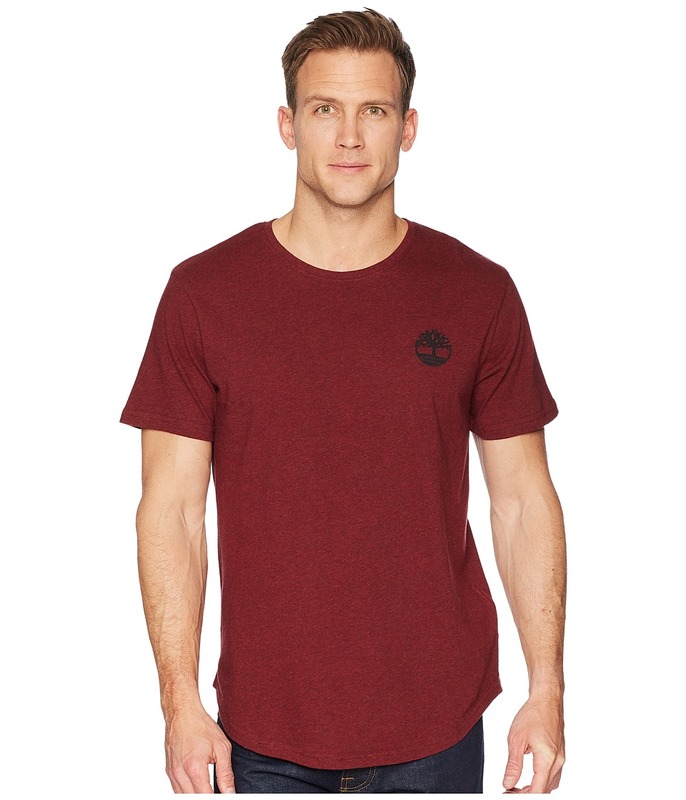 This regular-fit tee is fabricated from a soft, lightweight jersey with brand graphics throughout for a laid-back look. Crew neck and short sleeves. Tree logo graphic at left chest. Back features a vertical logo print. Extended-length hem with a pieced back hem. Curved hemline. 100 percent cotton. Machine wash cold. Imported. Measurements: Length: 27 in Chest Measurement: 20 in Sleeve Length: 17 in Product measurements were taken using size MD. Please note that measurements may vary by size. Get the weekend started in a throwback Timberland Graphic T-Shirt. This over-sized tee is crafted from a soft cotton jersey with a half-tree logo graphic at the back for a 90s-inspired look. Ribbed crew neckline. Short sleeve design. Piecing at the back. Logo graphic at left chest. Straight hemline. 100 percent cotton. Machine wash, tumble dry. Imported. Measurements: Length: 29 in Product measurements were taken using size MD. Please note that measurements may vary by size. 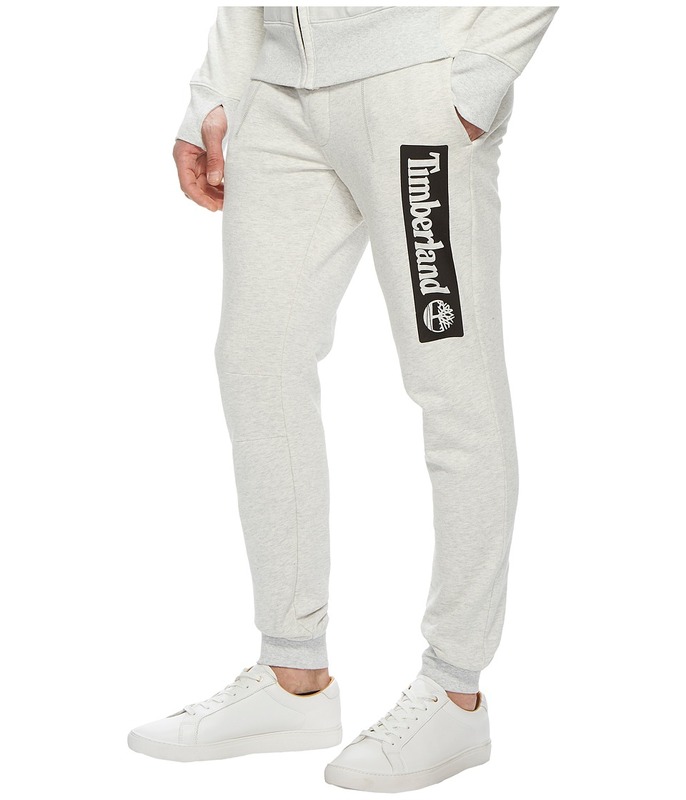 This sporty Timberland Jogger Pants will infuse laid-back comfort with an air of urban tailoring to your wardrobe. Stretch elasticized drawstring waist. Hand pockets at the sides. Brand logo at the side. Knee darts lend a comfortable contoured fit. Ribbed ankle cuffs. 80 percent cotton, 20 percent polyester. Machine wash, tumble dry. Imported. Measurements: Waist Measurement: 32 in Outseam: 41 in Inseam: 30 in Front Rise: 10 in Back Rise: 16 in Leg Opening: 9 in Product measurements were taken using size MD, inseam 30. Please note that measurements may vary by size. 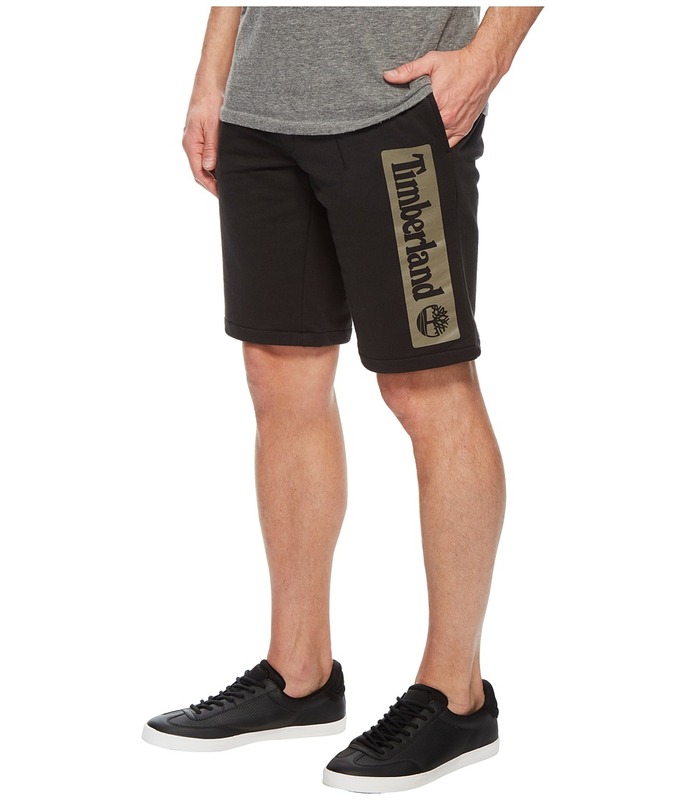 For a look that~s as versatile as your social calendar, look no further than the Timberland Jogger Shorts. Slim-fit short is crafted from a soft fleece knit with a large graphic print at the side. Elasticized drawstring waist. Seamed darts at the front. On-seam hand pockets. Yoke at back. 80 percent cotton, 20 percent polyester. Machine wash, tumble dry. Imported. Measurements: Outseam: 20 in Inseam: 11 in Front Rise: 10 in Back Rise: 16 in Leg Opening: 21 in Product measurements were taken using size MD, inseam 11. Please note that measurements may vary by size. Set sail on the Timberland seas in the 3-Pair Pack Boat Shoe Liners. Sold as a three-pair pack. Super invisible cut for a no show look in shoes. Soft cotton blend. Cooltouch Fiber for moisture control Elastic arch support bands. Ultra-lite cushioning. Silicone grip on bottom for a no-slip wear. Seamless toe closure. 39 percent polyester, 38 percent cotton, 22 percent nylon, 1 percent spandex. Machine wash cold, tumble dry low. Imported. No matter how active you are, the Timberland 2-Pair Pack Coolmax No Show socks will help keep you cool and fresh. Sold as a two-pair pack. Low length. Mesh vents in sock allow for a breathable foot environment which allows air to move more freely. Padded toe and heel adds comfort. 42 percent cotton, 40 percent coolmax polyester, 16 percent nylon, 2 percent spandex. Hand wash cold. Dry flat. Imported. 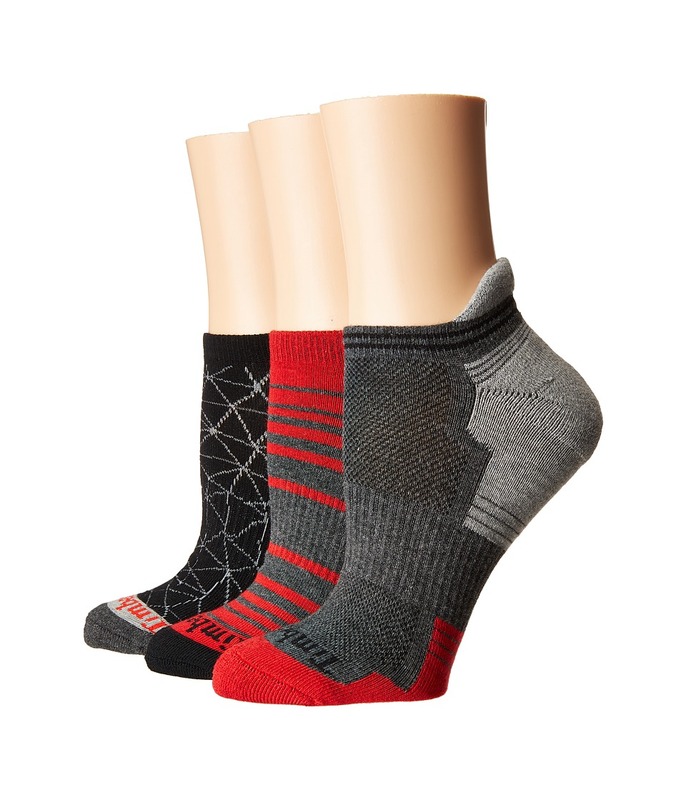 Mix some Timberland patterns into your boots with these handsome socks. Sold in a three-pair pack. Crew-cut style sits at the calf. Mixed patterns throughout. CoolMax fabric offers a soft hand and keeps skin dry with excellent movement and breathability. Self-adjusting welt cuff. Athletic ribbed detailing. Elastic arch support. Reinforced heel and toe. Y-stitch heel. Low-profile toe closure. 46 percent polyester, 37 percent cotton, 14 percent nylon, 3 percent spandex. Machine wash cold, tumble dry low. Imported. 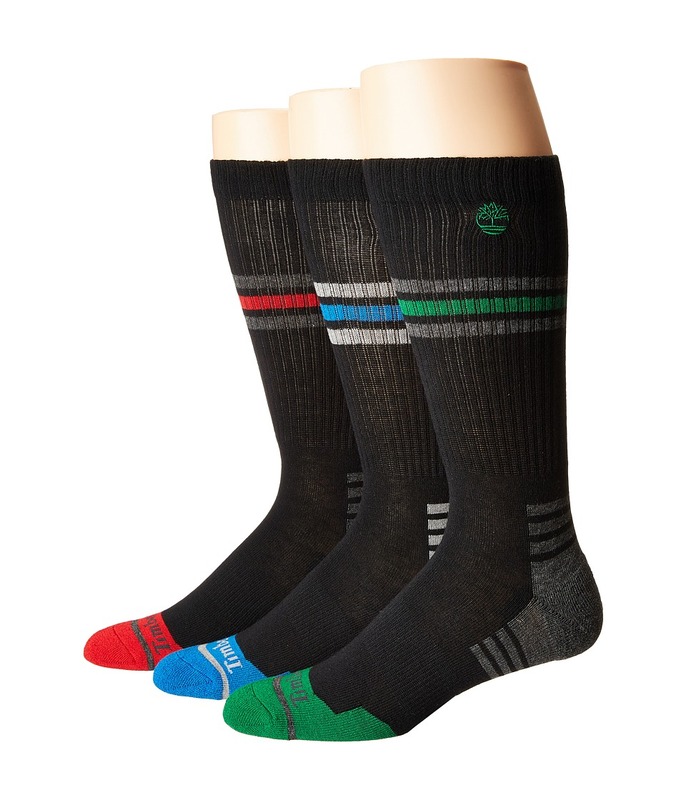 Mix some Timberland patterns into your boots with these handsome socks. Sold in a three-pair pack. Crew-cut style sits at the calf. Combed cotton fabrication features pops of color. Self-adjusting welt cuff. Athletic ribbed detailing. Elastic arch support. Reinforced heel and toe. Y-stitch heel. Low-profile toe closure. 58 percent polyester, 25 percent cotton, 14 percent nylon, 3 percent spandex. Machine wash cold, tumble dry low. Imported. Mix some Timberland patterns into your booties with these beautiful socks. Sold in a three-pair pack. No-show cut sits below ankle. Combed cotton fabrication features pops of color. Self-adjusting welt cuff. Athletic ribbed detailing. Elastic arch support. Reinforced heel and toe. Y-stitch heel. Low-profile toe closure. 56 percent polyester, 26 percent cotton, 14 percent nylon, 3 percent spandex. Machine wash cold, tumble dry low. Imported. 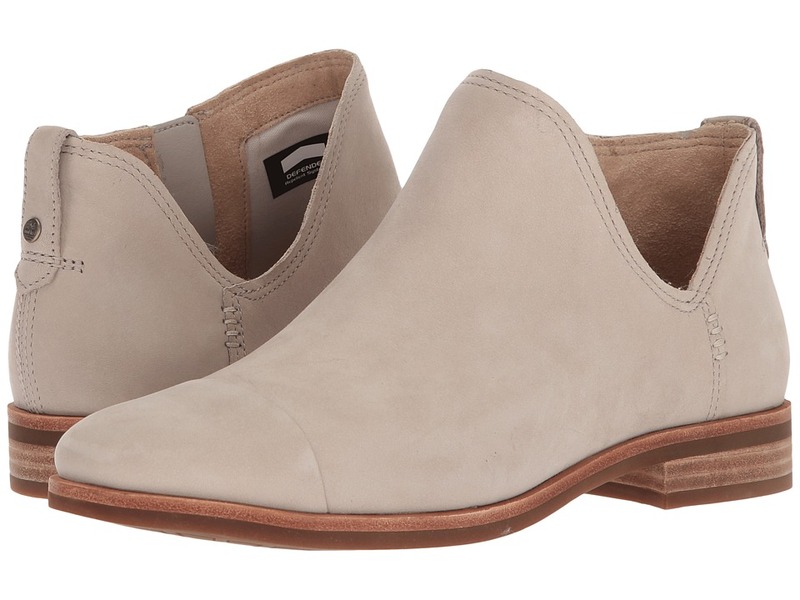 The Somers Falls Chelsea Boot is a divine choice for date night! Nubuck leather upper. Side zipper closure for easy on and off. Breathable mesh linings are made with 50 percent PET (recycled plastic bottles). MirrorFit comfort system. Supportive leather welt. Outsoles are made with 15 percent recycled rubber. Imported. Weight of footwear is based on a single item, not a pair. The Timberland Londyn Slip-on is sure to compliment your signature look this season! Upper is constructed of nubuck leather. Easy slip-on design. Timberland logo embossed at heel cup. Padded collar prevents potential chafing and discomfort. Dual-gore panels provide an adjustable fit, securing foot in place. Supple synthetic lining is created out of recyclable materials, promoting a green construction. 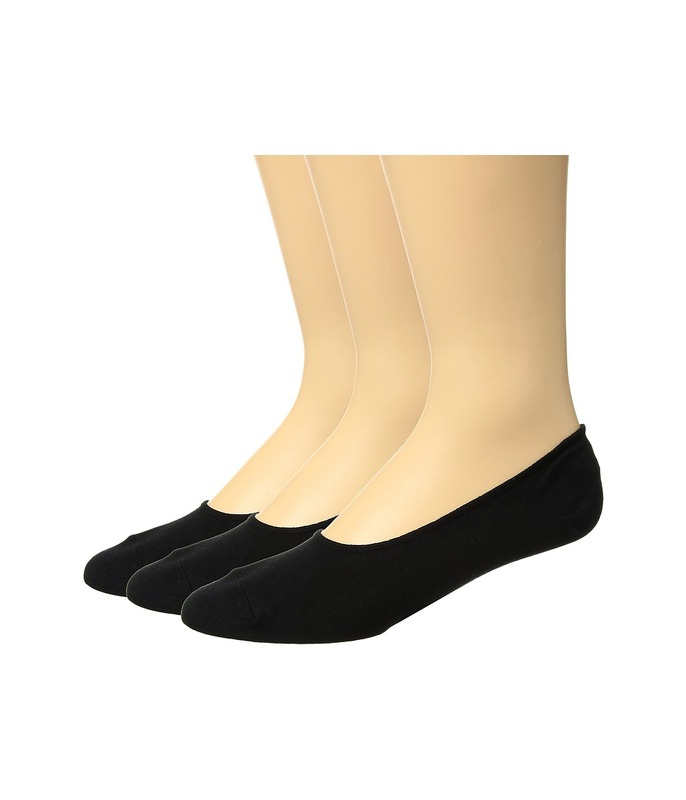 OrthoLite footbed ensures a comfortable and long-lasting moisture wicking wear. Recycled rubber outsole provides durable traction and grip. Seamless internal wedge provides extra height. Imported. Measurements: Weight: 12 oz Product measurements were taken using size 8, width B - Medium. Please note that measurements may vary by size. Weight of footwear is based on a single item, not a pair. Weather conditions and unreliable surfaces will never slow you down or stop you from doing your best when you~ve got the Timberland PRO TiTAN 6 Soft Toe Waterproof boot keeping you safe. Style number: 53536210. Waterproof leather upper is specially treated, causing liquids to bead up and shed from the surface. Water-impermeable membrane keeps feet drier and delivers superior waterproof protection. Membrane also provides blood-borne pathogen protection. PowerFit&amp#8482 comfort system uses ergonomic elements at key zones to promote enhanced movement and support. Traditional lace-up system with dual-purpose top hardware for easy lacing adjustability. Padded top collar and tongue for added comfort. Cement construction provides excellent flexibility and reduces break-in time. Moisture-channeling spacer mesh comfort lining with antimicrobial treatment for odor control and dry feet. Contoured open-cell polyurethane footbed with antimicrobial treatment to prevent and control odors. Nylon diffusion shank for structural support and torsional rigidity. Molded polyurethane (PU) midsole for added underfoot support and shock absorption. Composite safety toe was constructed on a TiTAN last for nonmetallic protection and a superior fit. Timberland PRO Rubber outsole uses a heat-resistant, durable, specially made rubber compound to offer improved slip, oil, and abrasion resistance for excellent traction on all surfaces. Soft toe meet ASTM F2412-11, ASTM F2413-11 and ASTM F2892-11 electrical hazard standards to provide secondary underfoot protection against the hazards of stepping on live electrical circuits, electrically energized conductors, parts, or apparatus. Imported. Measurements: Weight: 1 lb 11 oz Shaft: 6 in Product measurements were taken using size 11, width E - Wide. Please note that measurements may vary by size. Weight of footwear is based on a single item, not a pair. 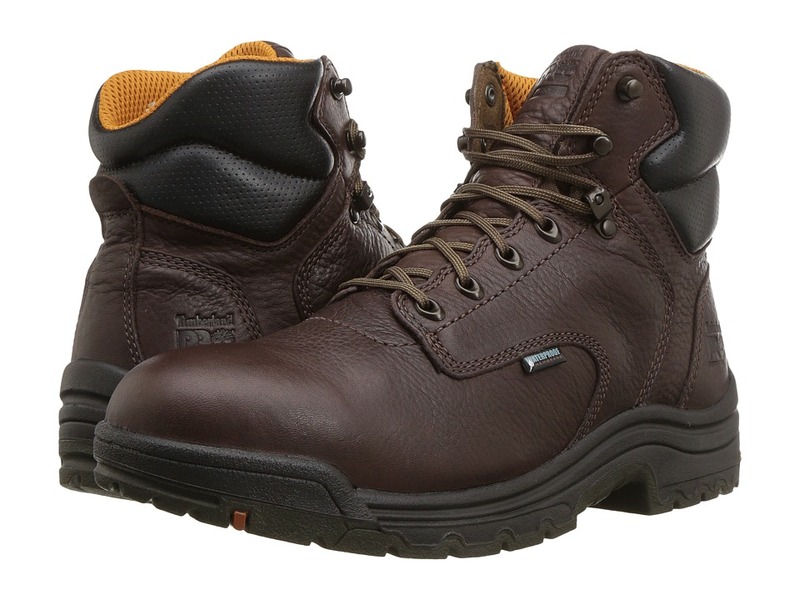 The tough protection and supportive interior of the Timberland PRO TiTAN&amp#174 Trekker Alloy Toe Waterproof keep you working at your best even in difficult work areas and unpredictable weather. Style number: 85520214. Premium waterproof leather upper. Alloy safety toe is shaped on TiTAN&amp#174 last for lightweight protection and a superior fit. Water-impermeable membrane keeps feet drier and delivers superior waterproof protection. Also provides blood-borne pathogen protection. PowerFit comfort system uses ergonomic elements at key zones to promote enhanced movement and support. Cement construction for flexibility and reduced break-in time. 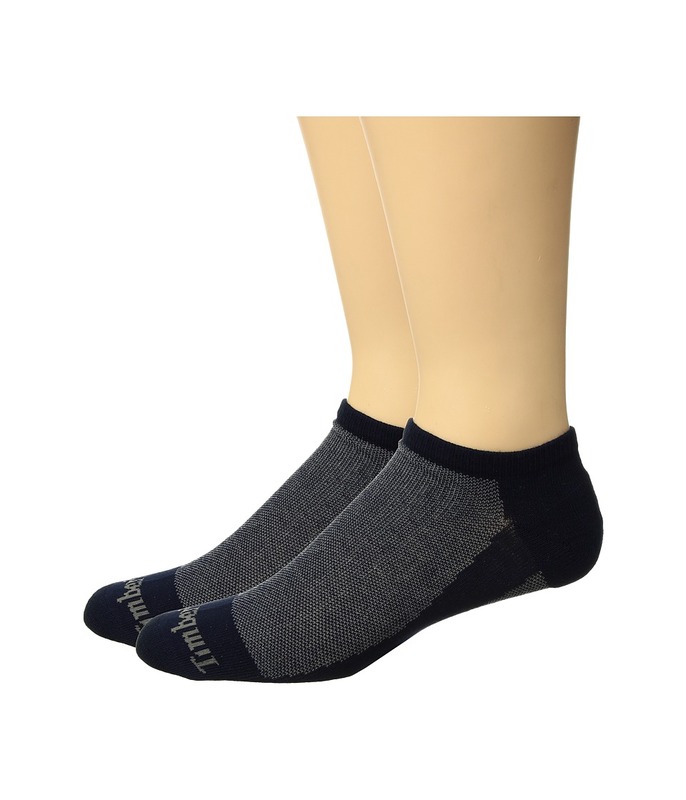 Breathable mesh comfort lining with antimicrobial treatment for odor control and dry feet. 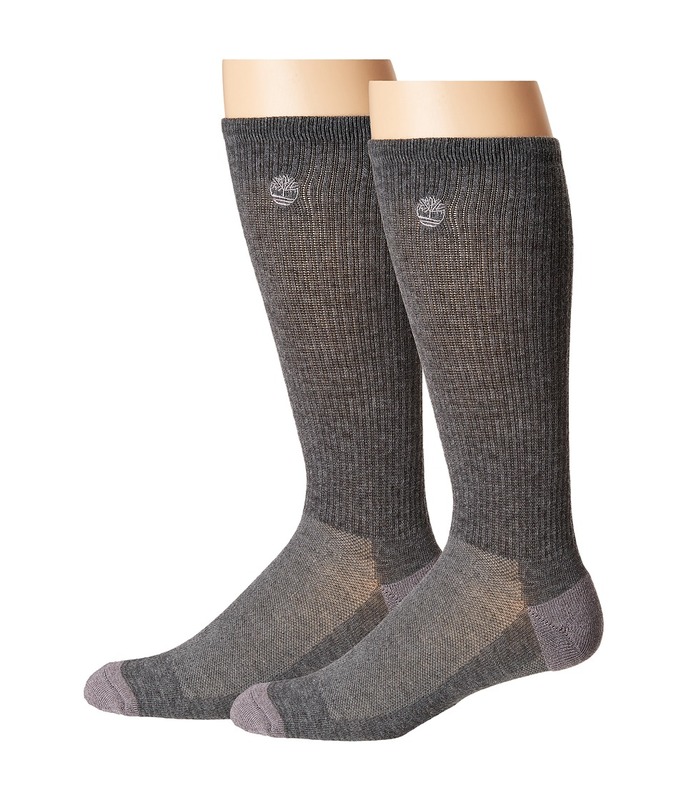 Cushioned footbed with Outlast&amp#174 Adaptive Comfort&amp#174 temperature-regulating technology sock cover keeps your feet drier. Polyurethane midsole with high-rebound heel insert provides durable cushioning and energy return. Nylon diffusion shank for torsional rigidity. Rubber dual-density outsole is lightweight with slip, oil and abrasion resistance. Lightweight, asymmetrical-shaped TiTAN alloy safety toe meets I/75 and C/75 impact and compression ASTM F2412-11 and ASTM F2413-11 safety standards. Meets ASTM F2412-11, ASTM F2413-11 and ASTM F2892-11 electrical hazard standards to provide secondary underfoot protection against the hazards of stepping on live electrical circuits, electrically energized conductors, parts, or apparatus. Imported. Measurements: Weight: 1 lb 8 oz Shaft: 5 1 2 in Product measurements were taken using size 11, width D - Medium. Please note that measurements may vary by size. Weight of footwear is based on a single item, not a pair. 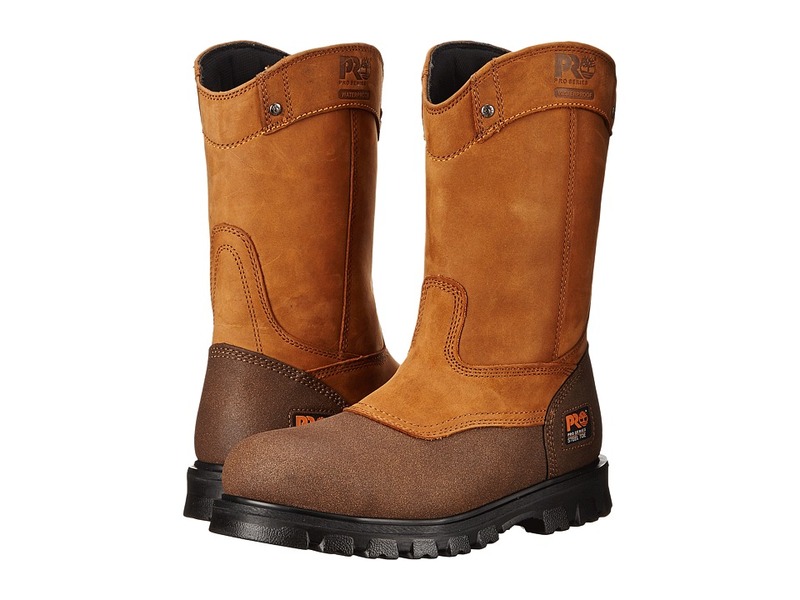 The Timberland PRO Rigmaster Pull-On Steel Toe Waterproof work boots keep you steady and protected while you~re on the move all day long. Style number: 89604270. Waterproof full-grain leather upper with waterproof membrane to keep your feet dry. Foam-padded collar and tongue. Unique fingergrip pull-on feature for ease of entry. Mesh lining with Agion antimicrobial treatment. Contoured, single-density OrthoLite footbed. Heavy-duty laces with quick-release hardware for easy on/off. Goodyear Welt Cast-Bond construction for a durable mechanical and chemical bond. Anti-Fatigue technology with conical PU midsole geometry. Steel shank. Single-density PU outsole that~s lightweight yet rugged with exceptional cushioning. Aggressive tread design featuring triangular lock lugs for maximum traction. Ladder Lock outsole radius. Steel toe meets I/75 and C/75 impact and compression ASTM F2412-11 and F2413-11 safety standards. Meets ASTM F2412-11, ASTM F2413-11, and ASTM F2892-11 electrical hazard standards to provide secondary underfoot protection against the hazards of stepping on live electrical circuits, electrically energized conductors, parts, or apparatus. Imported. Measurements: Weight: 2 lbs Circumference: 14 1 4 in Shaft: 11 3 4 in Product measurements were taken using size 11, width D - Medium. Please note that measurements may vary by size. Weight of footwear is based on a single item, not a pair. 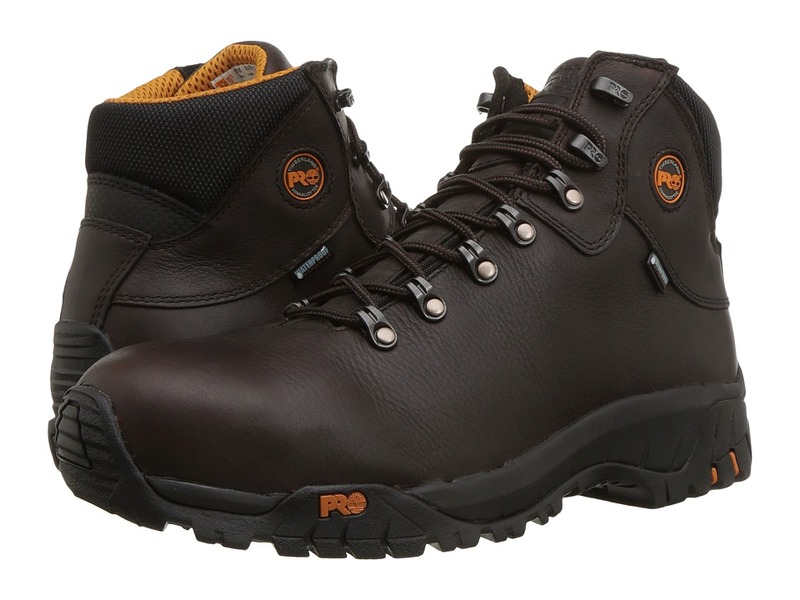 The Timberland PRO&amp#174 9 Ripsaw Logger 9 Composite Toe Puncture Resistant Waterproof boot keeps you safe whether you~re in the field or in the forest, in good weather and bad. Style number: 91614001 Work boot with a composite safety toe that is shaped on the TiTAN&amp#174 last for lightweight protection. 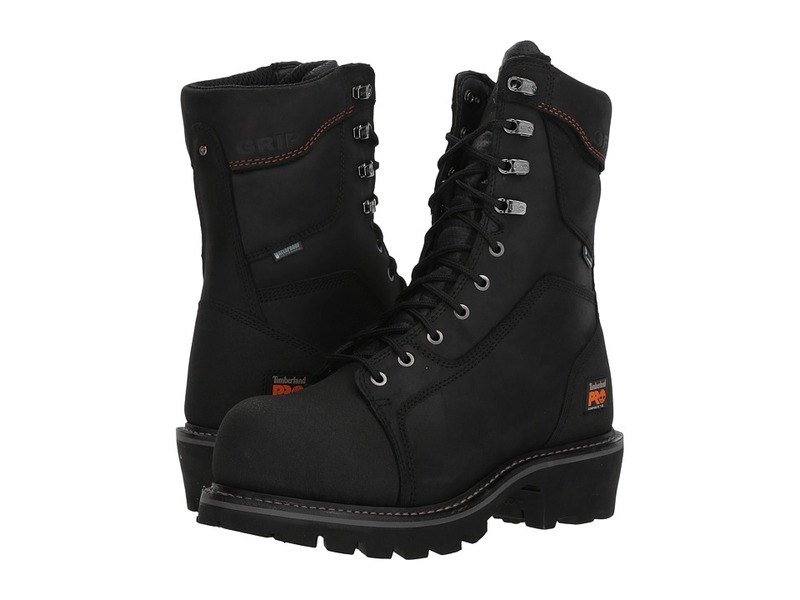 Waterproof leather and Ever-Guard&amp#8482 leather upper with waterproof membrane for abrasion resistance and dry feet. Traditional lace-up system with fabric laces and sturdy metal eyelets for a secure fit. Independent Suspension Network system provides superior control, support and agility. Mesh lining with Agion antimicrobial treatment for odor protection. Goodyear Welt construction and leather welt offers a durable, heat-resistant mechanical bond. Dual-density Anti-Fatigue Technology absorbs shock and returns energy at key zones of the foot. Steel shank provides superb structural support. Swen-Flex&amp#174 puncture-resistant plate for flexible underfoot protection. Articulated Vibram&amp#174 outsole is made with a medium-soft compound for superior traction in rock-based environments and are zoned for flexibility and independent lug deflection to minimize weight and maximize traction. Lightweight, non-metallic composite safety toe cap meets I/75 and C/75 impact compression and ASTM F2412-11 and F2413-11, EH safety standards. Imported. Measurements: Weight: 3 lbs 10 oz Shaft: 10 1 4 in Product measurements were taken using size 11, width D - Medium. Please note that measurements may vary by size. Weight of footwear is based on a single item, not a pair.